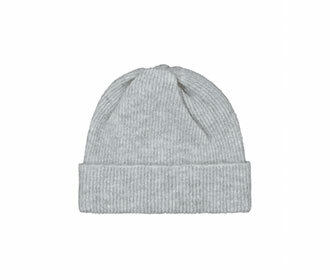 The Danish designer Nanna Søbirk launched Kokoon in 2009. 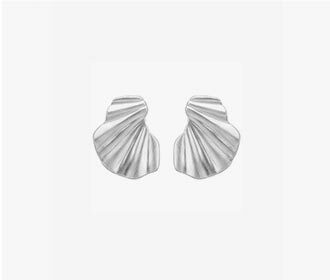 That was the beginning of her journey to be one of the leading designers working with silk. 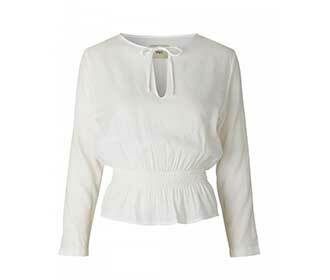 The style is simple with clean cuts, combined with the silk material - makes each item unique and elegant. 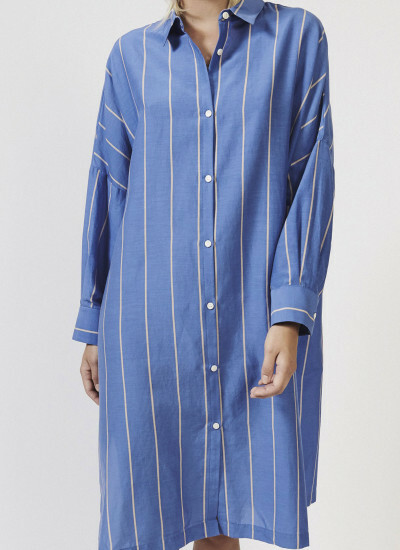 Kokoon makes classic pieces including flowy dresses, nice oversized shirts, blazers and nice loose fit pants. 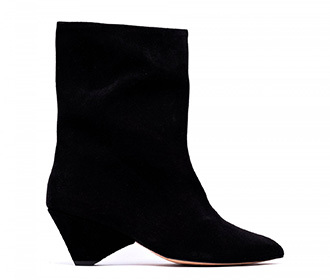 If you’re into high quality and timeless fashion, this is a brand you have to explore. 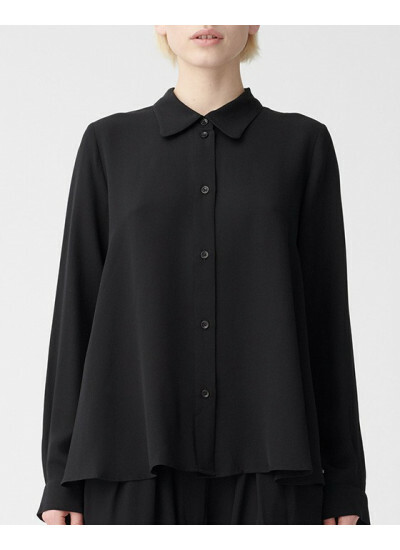 Loose fit shirt from Danish Kokoon with front pocket and mandarin collar. 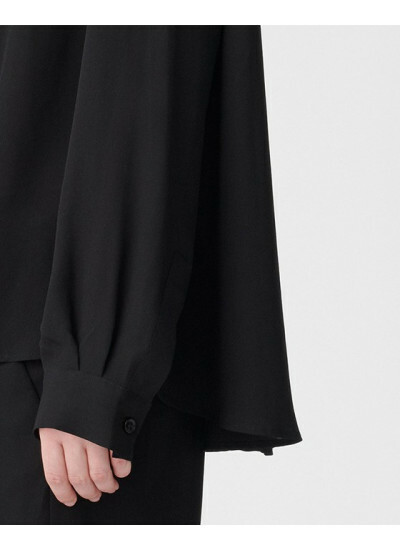 The shirt is made in 100% silk. 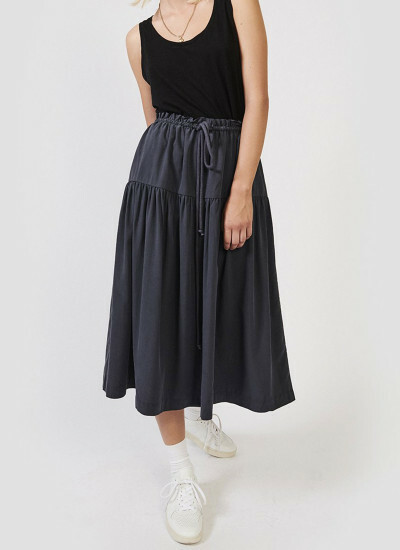 The model is 175 cm and wear a size S.
A midi silk skirt from Kokoon in fuji silk, with ruffled drawstring waistline in a blue/grey color. 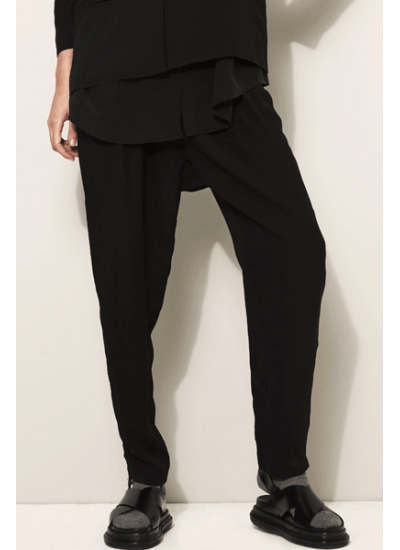 The model is 175 cm and wears a size S.
Harry silk pants from Kokoon with a high waist and straight legs. 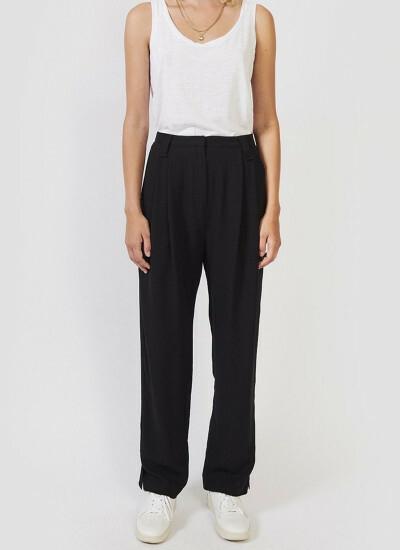 The pants features pockets and front pleats. 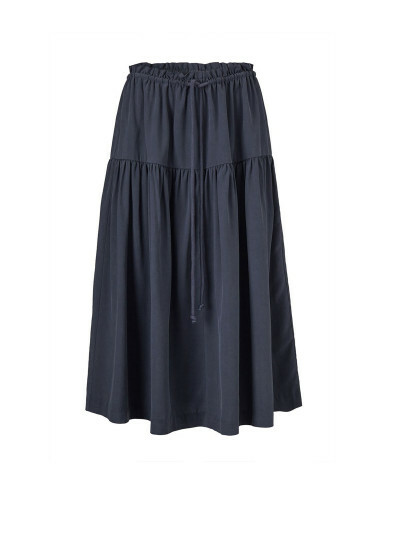 The model is 175 cm and wears a size S.
Silk dress from Kokoon in a dark navy color in a boxy fit. 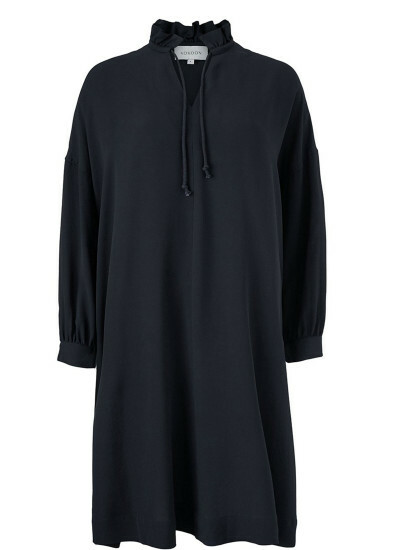 This dress features a drawstring neckline and long sleeves. 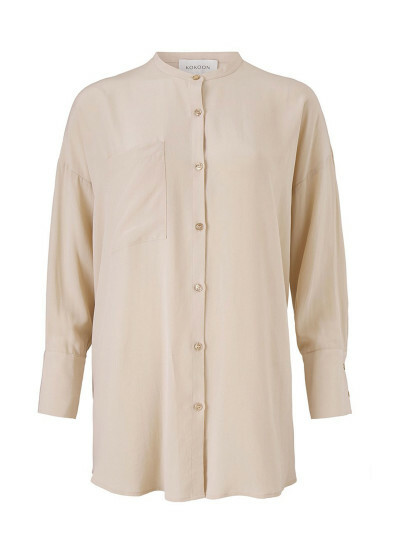 A cool oversized shirt in 100% silk in a straight fit with cropped sleeves. 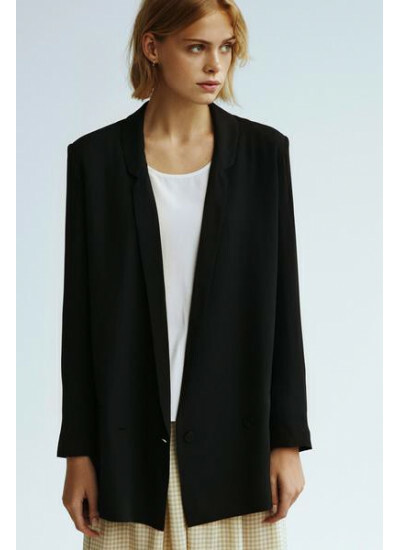 The model is 175 cm and wears a size small. 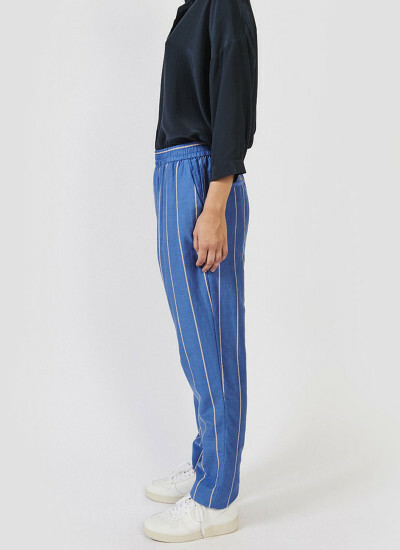 Cool blue pants from Kokoon in a silk/cotton mix with an elastic waistline. 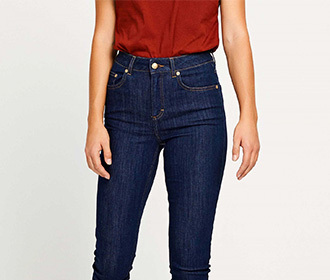 The pants features pockets. 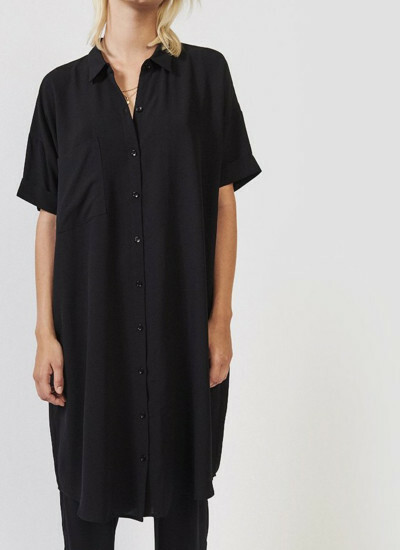 A oversized shirt dress from Kokoon with button down front and side slits. 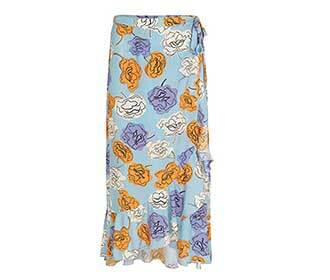 The dress is made in a soft silk/cotton mix. 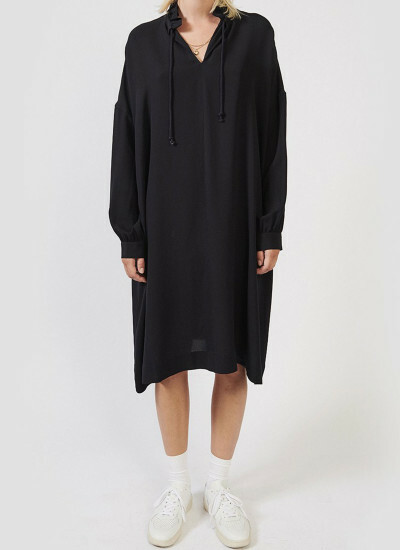 The model is 175 cm and wears a size small. 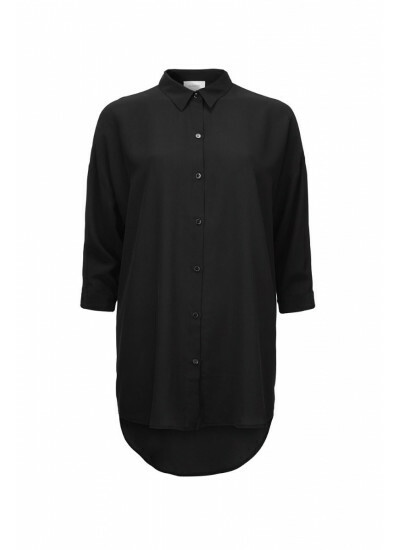 Straight fit shirt dress from Kokoon in 100% silk. 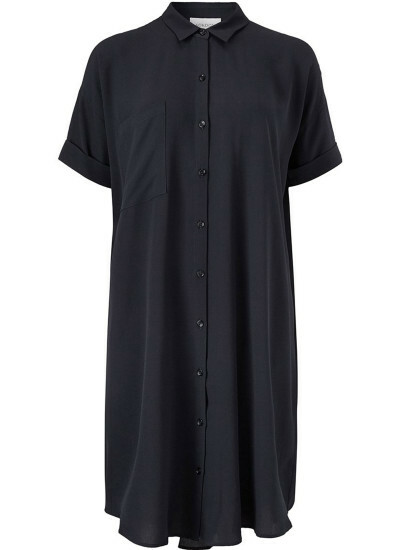 The dress features short sleeves and front pocket. 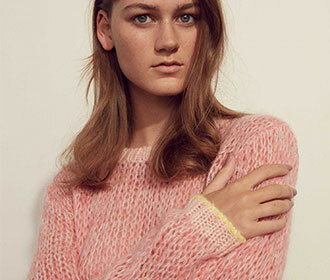 Model is 175 cm and wears a size small. 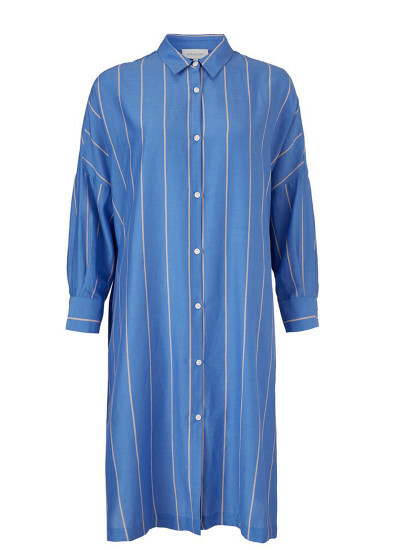 Straight fit shirt from Kokoon in an oversized fit. 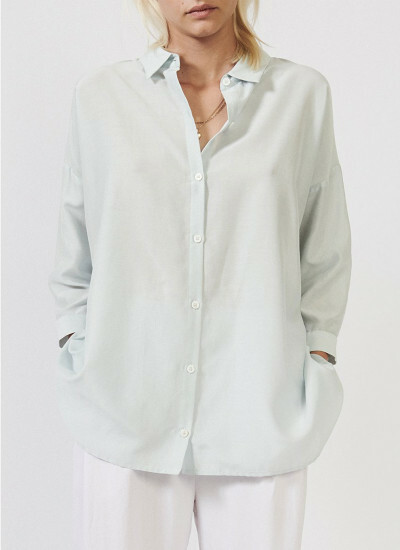 The shirt is made in a soft silk/cotton mix in a light mint color with cropped sleeves. 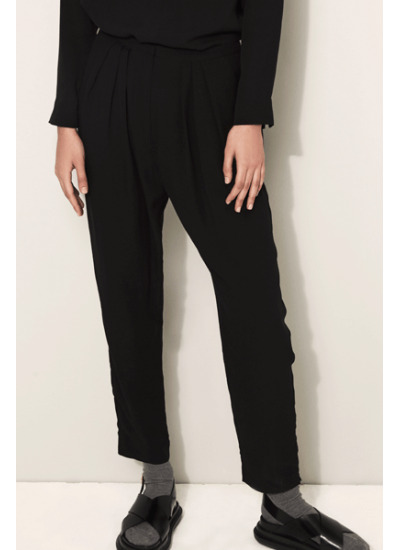 Bodystocking with a draped wrap-effect front, and a deep v-neck. 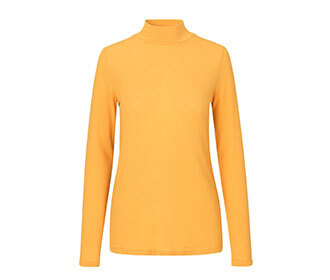 The bodystocking is in 100% silk, and jersey/modal bottom. 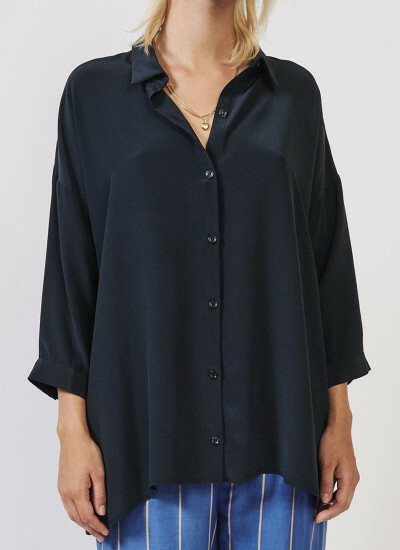 Oversize botton down silk shirt with 3/4 sleeves and a longer back. 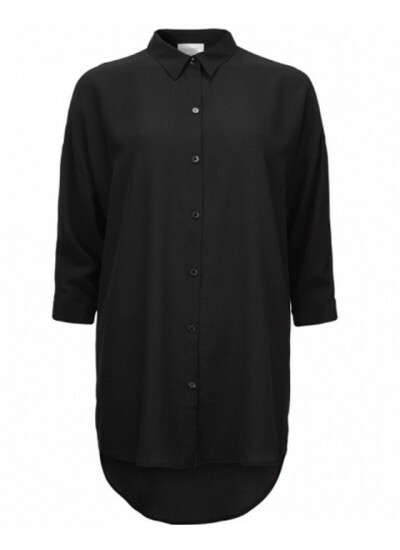 Button down shirt in black silk. Slightly a-shaped. 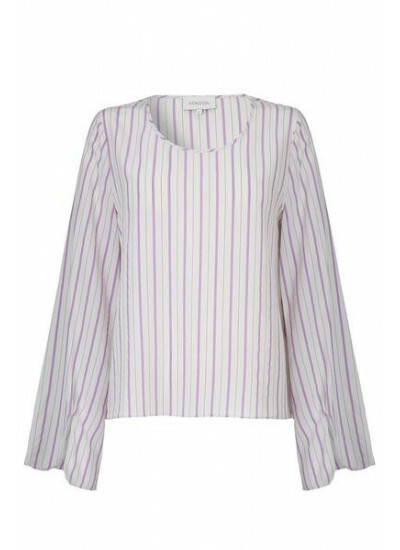 Silk blouse with trumpet sleeves and round neck in a relaxed fit. 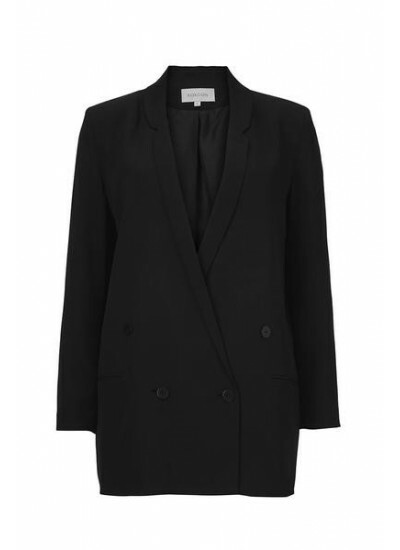 The classic double-breasted oxford blazer from kokoon in black silk.